Last week the federal government announced the new terms the Consumer Financial Protection Bureau created. The CFPB, the answer to the rampant abuse of mortgage finance practices the mortgage industry indulged in before the economic collapse, has issued several changes that will correct the oversight that characterized the process of purchasing a home. For one, the terms of a qualified mortgage have become clearer. Long gone are the days where people could qualify for “NINJAâ€ (no income, no job, no assets) loans. 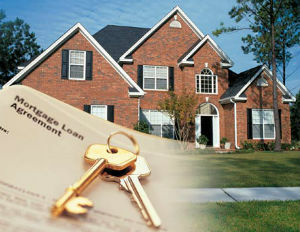 Lenders will have to verify documentation for all applicants and will have to employ the “ability to payâ€ rule. This rule requires lenders to only lend if they, in good-faith, believe the borrower has the ability to pay the loan back within the terms. Beginning in January, servicers will also have to notify borrowers of foreclosure alternatives after the first missed payment. These new rules don’t target specific loan products, rather they sweep across the spectrum of lending. This is great news for an industry with such a muddied reputation, but it will certainly make accessing homeownership more difficult for those aspiring to do so. What really needs to happen is change in other areas of the government, like zoning. Head over to Slate for commentary on why the CFPB’s latest regulations are a step in the right direction, but not a complete solution.